Observation - What is this jaw? - UK and Ireland. 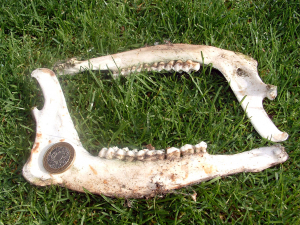 Description: Lower jaw bones and teeth, no other remains. (Apologies for the blurred photo). Lower jaw bones and teeth, no other remains. (Apologies for the blurred photo).